VPN is not the ultimate panacea for your privacy. Find out why you need an integrated solution to keep your browsing private. If you want to prevent others from peeping into your browsing journey, the usual convention is to start hunting for the best VPN you can find. But even this is not enough to keep your online adventures private. While whatever you browse remains encrypted, there are still many ways that third parties (big and small) can obtain information about you, either by inference or directly. Users can mitigate the risk by using a combination of tools. No VPN providers can claim to provide 100 per cent anonymity online, just like no padlock manufacturer can promise total protection against break-ins. 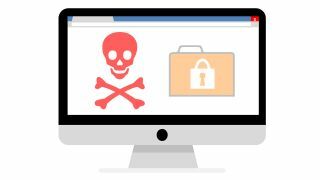 Often, the weakest link is the user and sadly, even the staunchest, paranoid web user would be powerless against an organisation or entity hell-bent on cracking a particular person’s privacy and with the resources to do so. For the rest of us though, integrated tools exist. And some of them, like Windscribe, are free. A few have big strings attached, like the fact that they may use automatically collected information to identify your general location or optimise advertisements displayed through the service. At Windscribe we don't do any of that: our paid-for service subsidises our free one. In fact, our free users love our services so much that quite a few of them become paid, loyal customers, which creates a virtuous circle and allowing us to spread the love. And don’t think that we cut loads of corners with our free offering. No way! You get a very generous 10GB of bandwidth per month and eight major locations plus ad blocking, P2P and firewall, the same key features you find on our paid for offer. For a mere 12.5 cents a day (that’s $45 a year), you get all this, plus unlimited bandwidth with 45 locations and OpenVPN Configs. (NB: You will need to use that special link to get that deal, which is 50 per cent cheaper than on our site). Our not-so-secret sauce is that we use a browser extension, on top of our desktop VPN application, that blocks thousands of ad beacons and trackers that will often follow you across websites you visit (ever seen an advert 'follow' you even as you switch from mobile to desktop and vice-versa?). That browser extension can also block the pesky and intrusive social widgets, like Facebook Like buttons, Pinterest, Google Plus or Twitter badges that will report your activity back to the motherships. The third useful feature of our extension is its ability to switch user agent, which makes so-called browser and machine fingerprinting a bit more difficult. Unbeknownst to many, your device’s artificial DNA can make it identifiable amongst millions of others thanks to a combination of variables, that put together, make your laptop, tablet or smartphone unique. Why is our ad blocker better than all the others on the market? Well compared to the market leader, we don’t make money by selling ads. So, why not try Windscribe for free? While we can’t promise that we’ll keep you safe from the KGB or the CIA, we will do our best to make your browsing experience as seamless and as private as ours. All for zilch.